Domestic violence may present itself as mere glimpses of passive or covert abuse, which over time escalate into more serious forms of physical and emotional abuse, manipulation and deprivation. Little remarks — from one partner to an unsuspecting other — that slowly jab away at a person’s sense of self-confidence and self-worth. Little remarks that, over time, eat away at a person’s perceived sense of stability, place and perspective in the world. Domestic abuse might start as a few malicious comments here and there about a person’s appearance — you should dress like this, or I don’t like the way you wear that. To more destructive and degrading comments pointed directly at a person’s character and sense of self — why are you so stupid, why do I always have to baby you? And as small comments build up, the dents they make on a person’s confidence increase — as the walls start to close in and fear, anxiety and desperation take hold. By the time these little remarks have morphed into not-so-little physical, emotional or sexual forms of abuse, a person can unexpectedly find themselves trapped deep in a web of recurring violence. 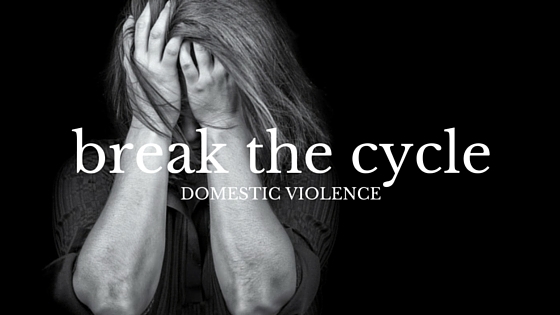 For Nora, domestic violence looks like an emotionally abusive marriage for four years. Four years. How is it that strong and self-assured women, the world over, manage to remain in unhealthy and abusive relationships for not days or even months, but years? Developed in the 1970s, Lenore Walker developed The Cycle of Abuse to explain and explore the stages of an abusive relationship. A self-feeding lifecycle in four parts, resulting in a crescendo of brutality. The precursor to domestic violence is the tension building before the act overtly takes place. Little digs of passive-aggressive behaviour from the side of the abuser — perhaps it’s someone’s father, husband or a boyfriend — escalating and causing strain in the relationship. As the nudges intensify, more often than not, a victim’s ability to tell the nudges apart becomes increasingly blurred. The victim — a mother, wife or a girlfriend — slowly succumbs to the will of her aggressor; as she fears doing anything that might trigger the anger or manipulative behaviour of her partner. In the tension stage, victims notoriously try to change their behaviour to soften the inevitable blow of their partners abuse. But as it nearly always turns out — no level of obedience, avoidance, or quiet on the part of the victim will stop their aggressor’s rage. Inevitably, the nudges over time lead to a punch — as her partner either overtly or covertly abuses her through an irreversible action. From physical abuse — hitting, kicking, shoving or throwing objects — to telltale control behaviours — such as emotional abuse, neglect or intimidation. And so she sits there — crumpled on the floor from the first hit, or straddled in a ball on the couch, questioning her actions, her intelligence, her self-worth. Minutes fade to hours as she tries to map the path leading to the situation she now finds herself in. And then her abuser kneels beside her and starts to profusely apologise — he loves her, he doesn’t want to hurt her, why does she make him hurt her like this? It’s the honeymoon phase — and the abuser is quick to repent, resolve, and reassure his now bruised victim that he’ll change; that this will never happen again. Maybe he buys her a present to make-up. Or he goes to the extreme opposite and threatens he’ll commit suicide if she ever leaves. The calm stage — much the like the calm before the storm — is thought to extend the reconciliation period. Relative peace between the pair ensues as some sense of normality creeps back into their lives. The victim is here in the thick of a very destructive situation — blind-sighted to the persistent plea of their partner now trying his best to restrain from harming her again. During this stage, the abuser may well have convinced his partner — and himself — that he has changed. But the calm only lasts so long, as the storm begins to brew again. Domestic violence is a beast that takes many forms. From physical abuse and aggression — or the threat thereof — to passive or covert abuse, emotional abuse, sexual abuse, intimidation, stalking and economic deprivation, it can creep up when you least expect. And the mark it can leave on a person can be extremely difficult to overcome. But the road to end domestic violence is not impossible. Lead by example and hold yourself accountable to the actions of others — swear never to commit, excuse, or remain silent about violence against women. For practical ways to help, check out The White Ribbon Campaign today. *This content provides general information only. Nothing within this content should be taken to comprise legal advice or used as a substitute for detailed and competent legal advice. While the information contained in this content is believed to be accurate and current, it is provided by CM Lawyers in good faith on an “as is” basis. CM Lawyers, its directors, officers or employees make no representation or warranty as to the reliability, accuracy or completeness of the information contained on this website, and none of them accept any responsibility arising in any way (including negligence) for errors in, or omissions from, the information contained in this website.